I saw this on engadget the other day, thought I'd share it with you guys. What do you guys this? 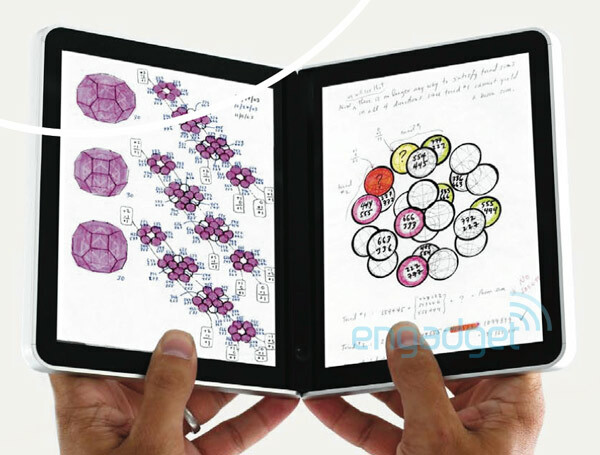 If they make this, would you prefer it over the iPad? clearly you didn't look at the full article and the video it provided....the pen actually workd in writing down your own words! given apples track record on proprietary software, unwillingness to incorporate anything from companies who don't bow to their will, and the price, I would definitely prefer this over the iPad which I don't plan on buying anyways. 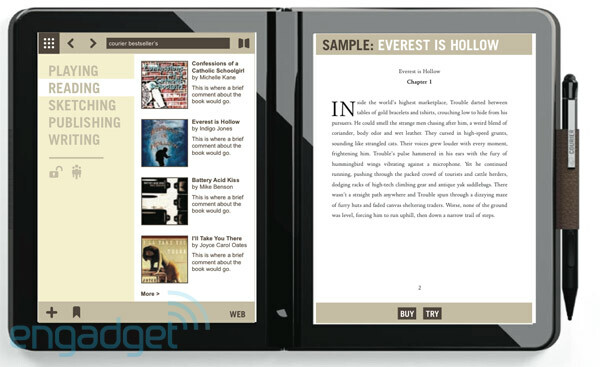 I am in the market for a good ebook reader thats not too expensive. 2. "Rich" people don't mind. 3. People care about branding and/or go with the trend. Hence, this feeds the market and those companies can continue what they do and earn like nobody's business because people supports them (blindly) even they if sell expensive, have many restrictions, already outdated, etc. Seriously, if a product is good, then it's good. If it's not, no point protecting blindly over it, else it can never improve and the company can continue to feed on this. If one wants to move on, should learn to accept a product is already old and needs a refresh and so on. When iPhone first launch, it was "WOW!" and beats most of the smartphones flat and also makes all other companies go back to their drawing board, brainstorm, come up with new competition. Sorry to say, iPhone was actually already an old news for quite some time, there're many better competitors for quite sometime; and look at the pathetic iPad, it was nothing spectacular. One would imagine Apple would come up something spectacular, but no. Possibly the next iPhone might make a new appearance, hopefully? But if the trend continues, we might see something like iPhone 2G -> iPhone 3G -> iPhone 3GS (and same goes for iPod Touch). This is rubbish honestly. I'm in no support of any brand, if any company can come up with a better product, it's good news for us consumers and they bring competition to the market, even better if they start competing prices, design, build quality, etc. The Boss wouldn't be allowed to come back home alive. And she wouldn't be allowed to kill herself. Her life would be ended by her most beloved disciple... That was the way the government wanted it. That was the mission she was given. yea been wanting a ebook reader as well, but was waiting for color versions to come out for magazines. i was disappointed with the Ipad as well, just a giant Iphone, Itouch and needing a new fee to get 3g service if u already have an iphone it too much for me. the demo video of this MS Courier seems really nice though, have see how reviews are for this. Mood: <('. '< ~(' . ' ~ (>'.' > KIRBY DANCE PARTY! this thing looks wayyyyy tooo good to be true. They make it seem like it could do anything, but i'm sure the real thing wont be this creative. Like i remember when Microsoft brought out promo reels for Microsoft Surface. haven't seen that anywhere in the market. Lol, when i saw the picture, I KNEW QQ was gonna say something about the iPad. I think it's really nice but like you said, it seems too good to be true. I don't really like the iPad, but they'll probably do some similar apps later on. But I do think it's useful for a designer. this product has been cancelled by Microsoft! My professors don't allow us to use laptops in class because they know we're not paying any attention at all lol.